I love this time of the year, when the days are getting lighter and longer, the warmer weather beckons and the English flowers and gardens are starting to blossom. If you’re someone who likes to change up their fragrance with the change in seasons, then now is the perfect time to do it and if you’re looking for a light, floral scent then I have just the ticket. 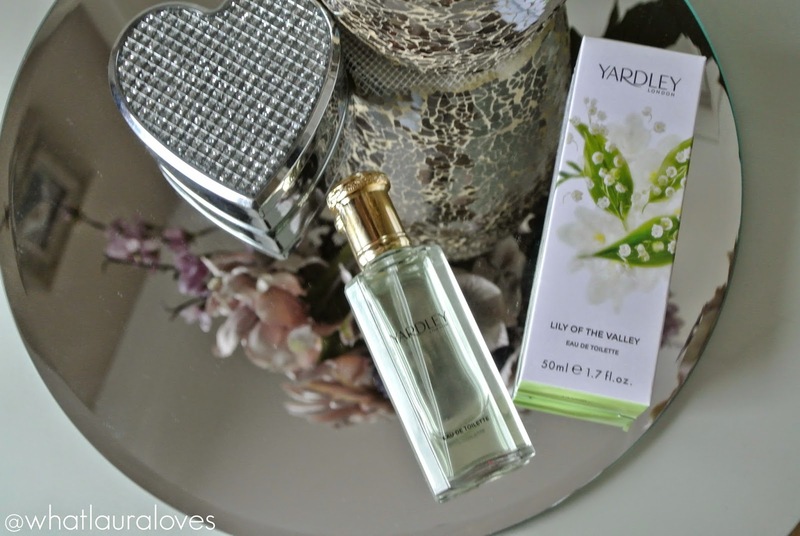 When I think of floral fragrances, I instantly think of the quintessentially British brand, Yardley London. They have been capturing the delicate fragrance of English flowers since 1770 and to this day, their line of fragrances and soaps embodies the rich heritage and tradition of a brand that has been much loved all over the world for centuries. Yardley London have recently released their new Contemporary Classics range of which there are four signature fragrances; Lavender, English Rose, April Violets and Lily of the Valley. Within these scents, Yardley London have developed a range of fragranced pampering skin products as well as a spray eau toilette. The new lines benefit from even more natural extracts and contain over 80% naturally derived ingredients. Plus they’re all free from parabens and mineral oils too. The Lily of the Valley scent is the perfect way to update your fragrance collection for the spring time. English Lilies smell incredibly pretty and the scent that Yardley London have created encompasses the floral fragrance beautifully. Lily of the Valley is a light, feminine white floral scent that has a slightly fruity hint to it. It has top notes of fruit pear, heart notes of Lily of the Valley and Freesia and a base of musk which is my favourite fragrance note as it adds a depth to a scent and increases its longevity, in my opinion. I have the eau de toilette which smells beautiful once it has settled onto the skin and for an EDT, it is long lasting. This is a light and fresh scent but it still has a little warmth to it. The fragrance comes in a sturdy glass bottle with gold cap that appears traditional and timeless in appearance. Within the Lily of the Valley line, there are several other products including a body spray, luxury soap, moisturising body wash and body lotion, hand cream and perfumed talc. 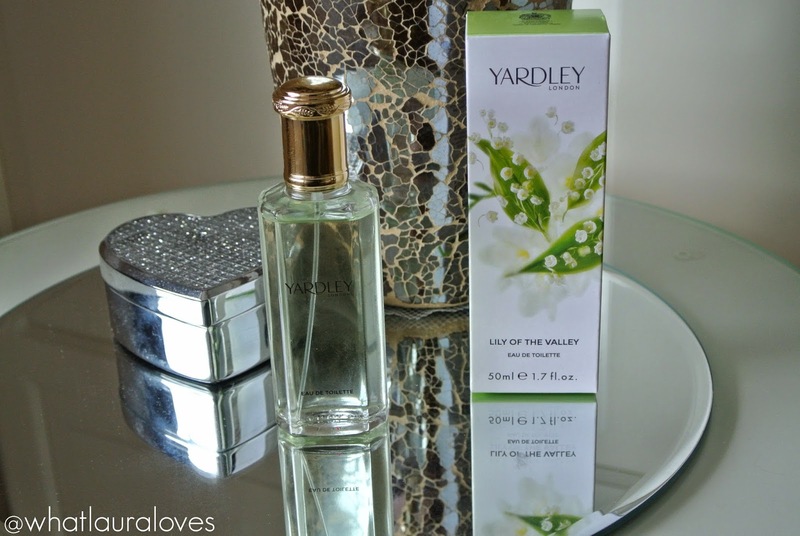 All of which have the signature Lily of the Valley scent that Yardley London have created and would therefore make great layering products to increase the scents longevity. If it is your female relatives birthday coming up, such as a mother, aunty or grandmother then I think the Lily of the Valley line would make a lovely gift. Perhaps bundle a selection of products together in a small basket, wrapped up with cellophane and a bow. I’m sure there are many women who would love to receive something like that! Yardley London products are available from Boots (125ml bottle of the fragrance here for only £14.99 and the 50ml bottle like I have is here for £9.99), Superdrug and from the Yardley London website. 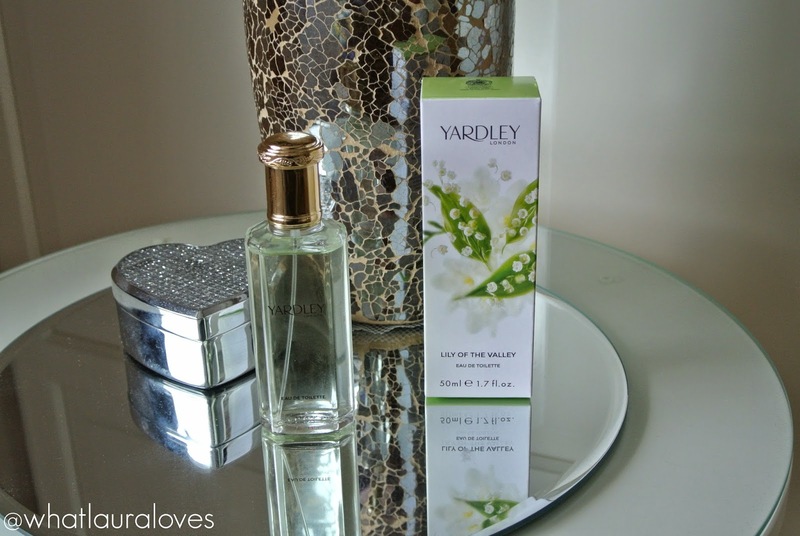 Have you tried any Yardley London products? Which ones would you recommend? I wore that fragrance in high school and I loved it. I adore lilies of the valley, and I have both white ones and pink ones in my garden! This sounds like a lovely fragrance for spring. I've heard if the Yardley brand before but sadly haven't tried any out. I love a good fragrance though!